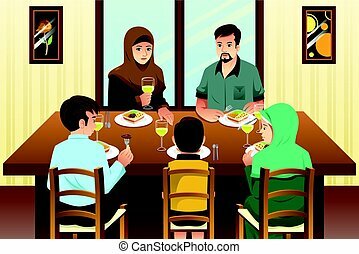 Family eating dinner. 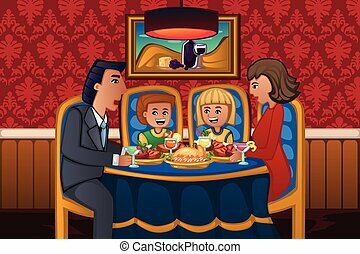 A vector illustration of a family eating dinner together. 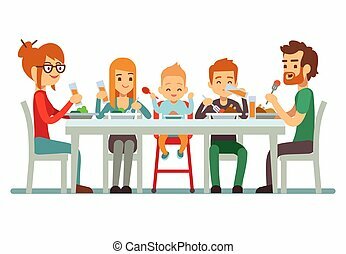 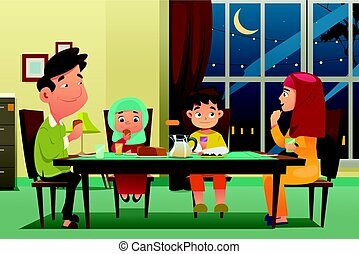 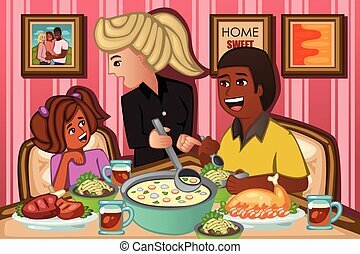 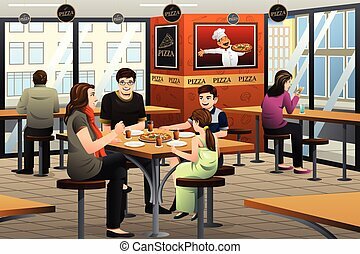 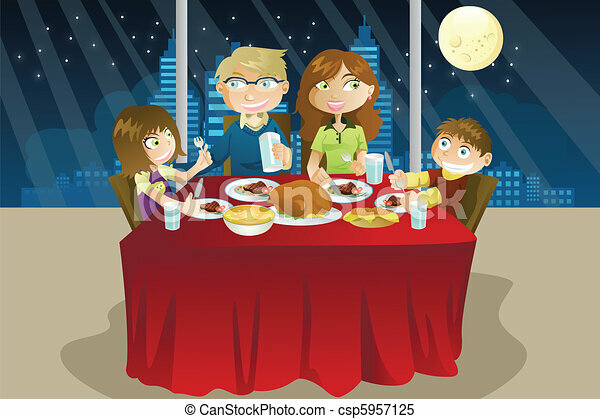 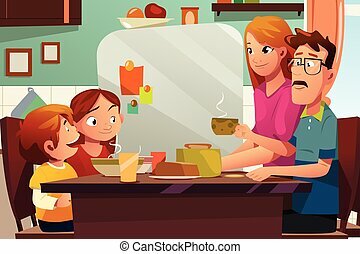 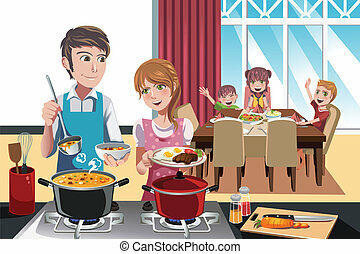 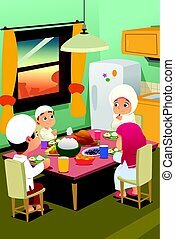 Family eating dinner together at kitchen table, family lifestyle concept vector Illustration isolated on a white background. 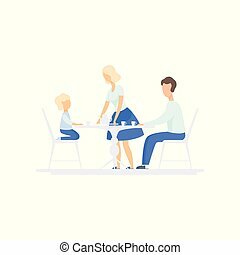 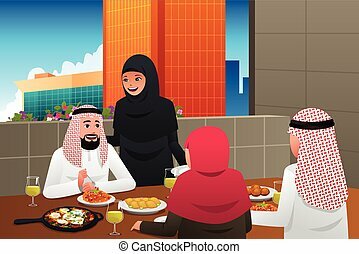 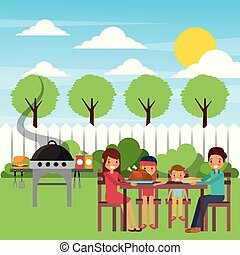 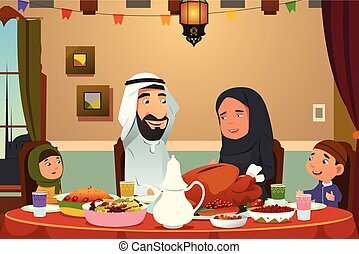 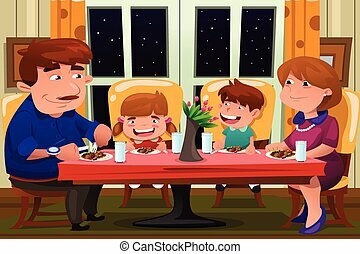 family eating dinner at home, happy people eat food together, son and dad treat grandfather sitting by dining table, sanior man hold cap of tee, father vector illustration. 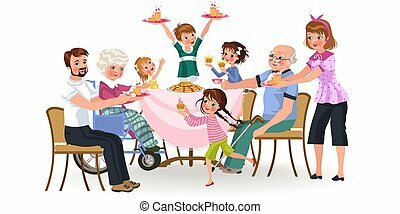 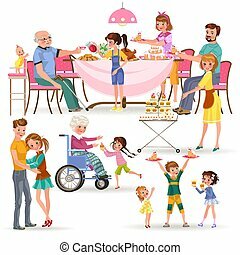 family eating dinner at home, happy people eat food together, boy and girl treat grandfather sitting by dining table, granddaughter takes care of old grandmother, children hold cakes vector illustration. 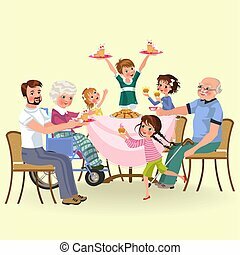 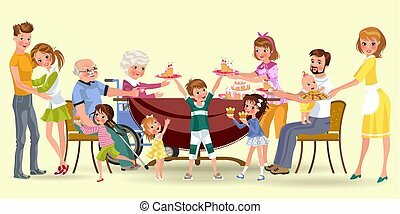 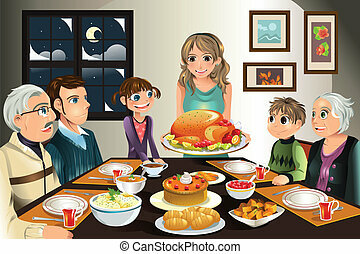 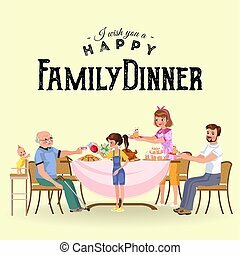 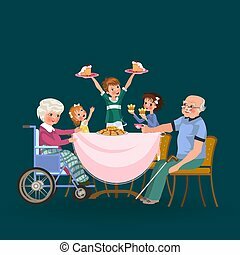 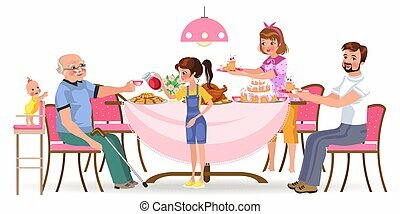 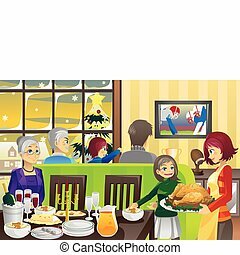 family eating dinner at home, happy people eat food together, mom and dad treat grandfather sitting by dining table, girl takes care of old grandmother, children hold cakes vector illustration. 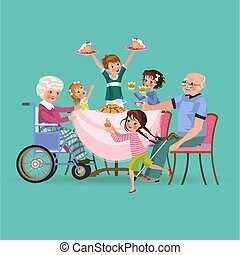 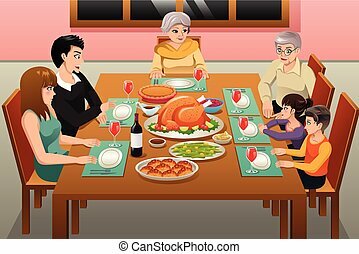 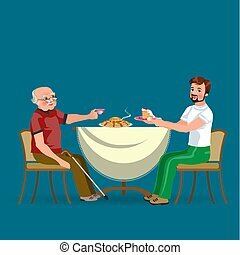 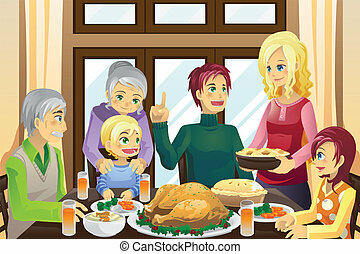 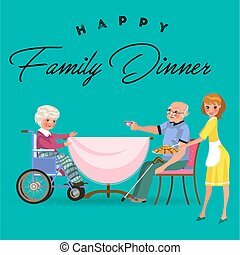 family eating dinner at home, happy people eat food together, mom treat grandfather sitting by dining table, girl takes care of old grandmother, disabled woman on wheelchair vector illustration.